FW-500 Cooler Replacement Cartridge Set, a set of 4 replacement cartridges for FW-500, 650 and FW-2500 Bottleless Water Coolers with 4 stage Ultrafiltration systems. 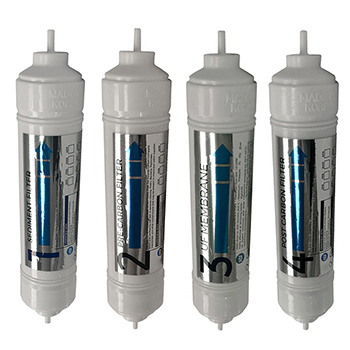 The replacement filter set is designed for bottle-less coolers with either Reverse Osmosis or regular filtration system. It contains Sediment filter cartridge, Carbon pre-filter cartridge, and a Carbon post-filter cartridge, and UF or RO membrane. This set is compatible with floor models FW-500 / H2O-500 , FW-650 and FW-2500 water coolers. 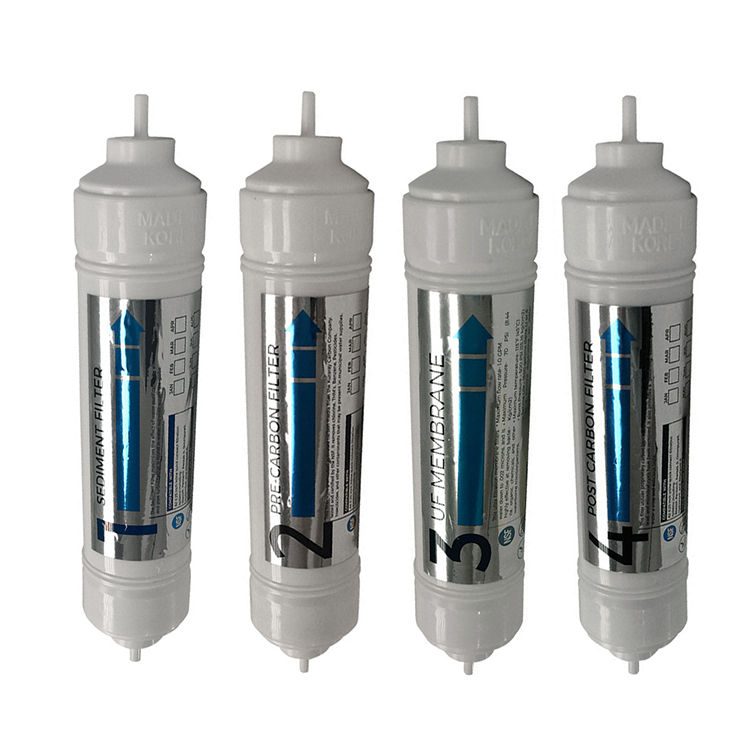 Filter 3 Ultrafiltration UF(for 4-stage Regular UF) UF- Removes Sediments and extremely fine particles, microorganisms up to 0.2 micron in size. Filter 4 Carbon Block 0.5 micron Carbon Block Removes volatile organic compounds (VOC's), insecticides, pesticides and industrial solvents.